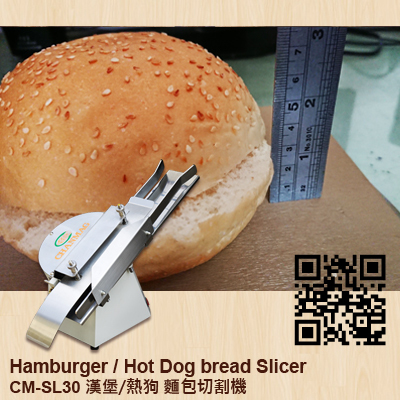 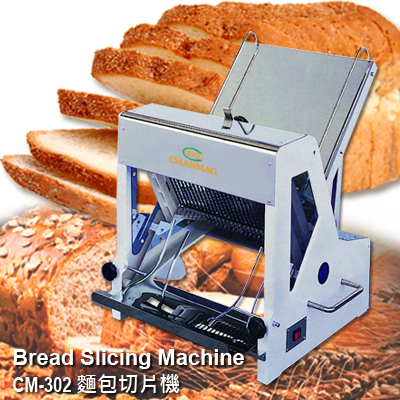 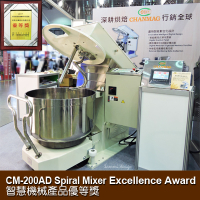 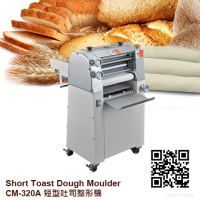 CHANMAG CM-S30A Automatic Bread Slicing Machine for final processing slice movement can mainly be carried out continuously toast slices. 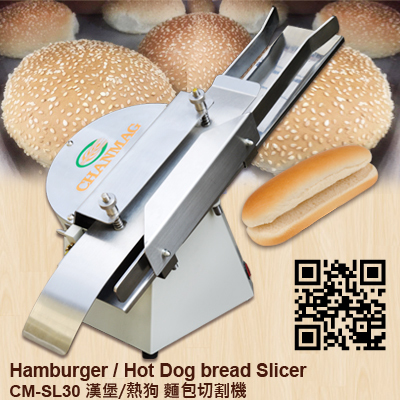 Exit end attached electric eye device automatically stops and re-open the machine. 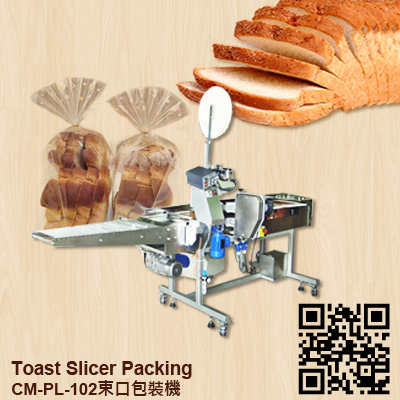 CHANMAG CM-PL102 Toast Slicer Packing is for operation the toast packaging. 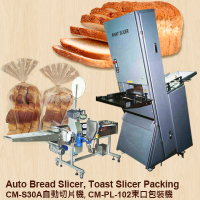 The combination with CM-30A automatic slicing machine, it becomes a perfect whole set packaging equipment. 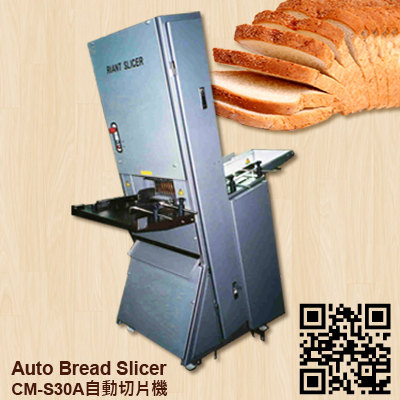 1.With continuous rotary ring type cutter, cutting surface is smooth & less remains. 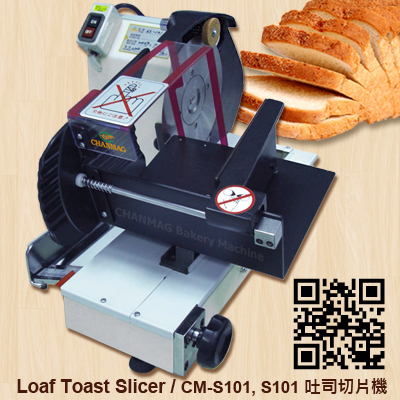 2.With grinder device, so cutting blades can be sharpened by users. 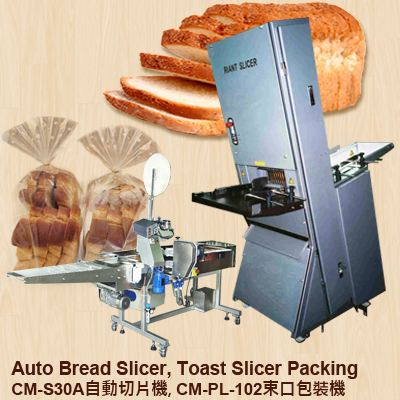 3.With a magic eye, it is able to control & store the cut off finished products at output area automatically, easy for operation. 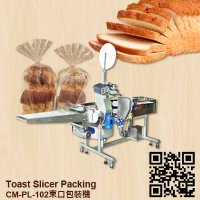 4.Can be connected bag-blowing machine, and with manual push into plastic bags. 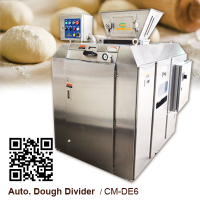 5.Machine body is based on stainless steel sheet, meets food hygienic standard.